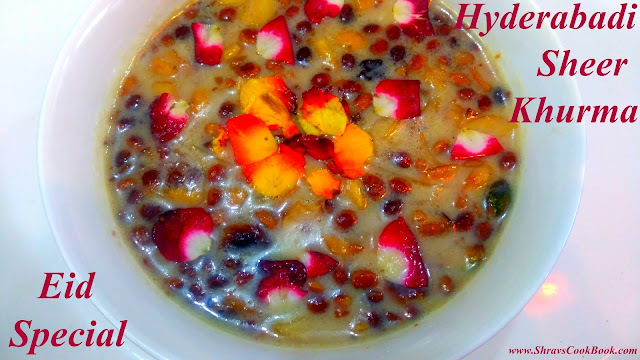 Eid Special Hyderabadi Sheer khurma Recipe in Telugu or Sheer Korma Ramzan Special is a yummy dessert delicacy usually prepared on the occasion of Eid or Ramzan in all muslim house holds. Sheer Khurma (Korma) by name mean Sheer i.e. 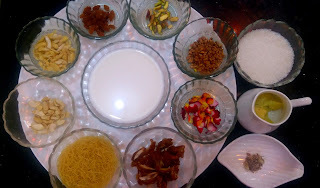 Milk and Khurma i.e. Dates. So in short this is a milk based dessert where Dates is the key ingredient. This recipe will be very yummy, muslims keep fasting in the month of ramzan. They consume food before sunrise and after sunset. And in the remaining time they neither eat nor drink even water too. So they consume energy rich foods when they eat, in order to stay healthy and hungry-free during the time they keep fasting. And the current dessert is one such recipe. 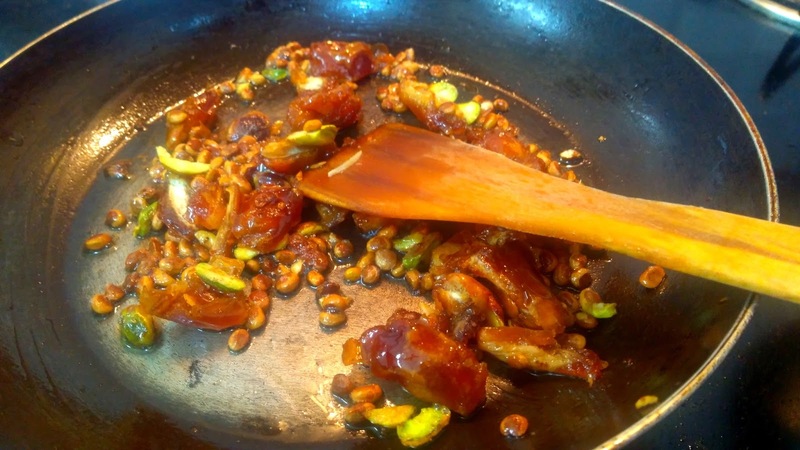 Dates in this dessert are rich in iron, prevents from anemia, gives energy. Milk and nuts in this dessert give a lot of vital nutrients required for the body. 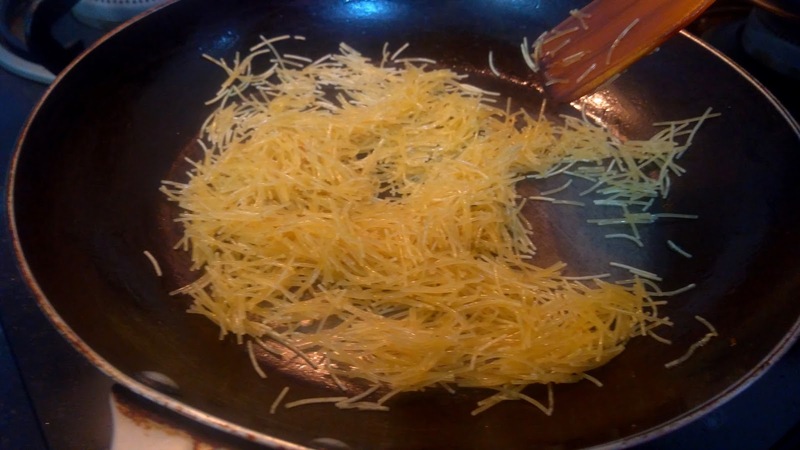 Also this recipe tastes super yummy, you can't resist yourself from consuming this lip smacking delicacy. 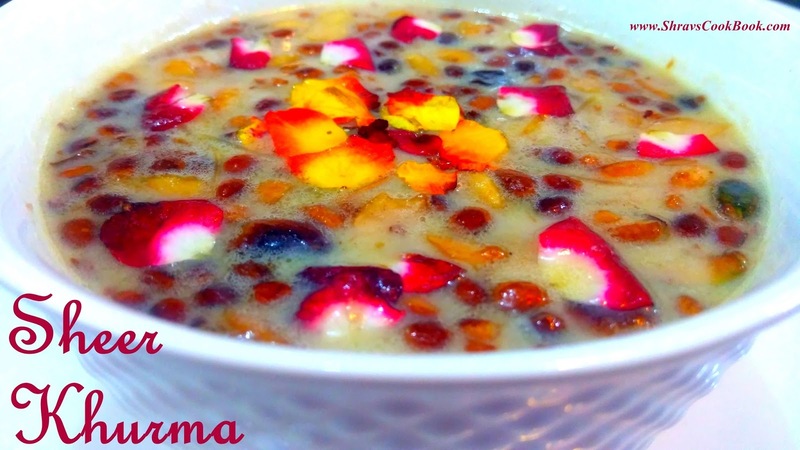 Sheer Korma is a traditional vermicelli kheer prepared on the eve of Eid or Ramzan. 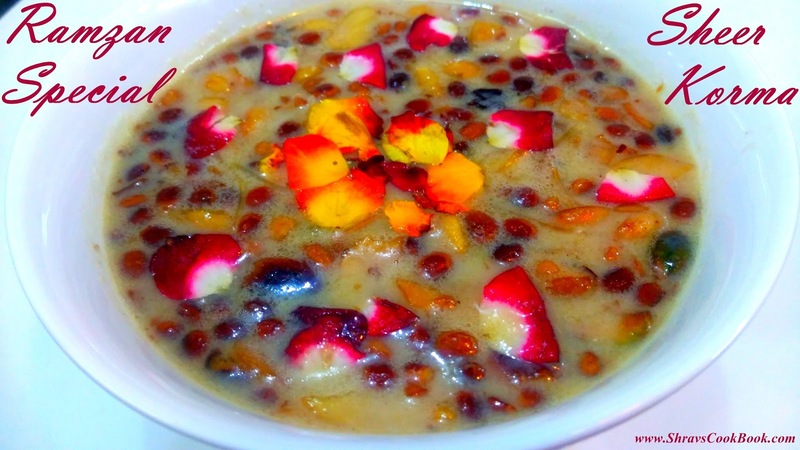 This kheer is prepared not by using the regular vermicelli which is available in the markets but also by using special vermicelli which is usually sold and available in the markets only in the season of Ramzan. This special vermicelli is called as "Pheni" and will be very thin and fragile, available in both white and brown colours. I have added only sugar to bring in sweetness apart from the sweetness from dates. 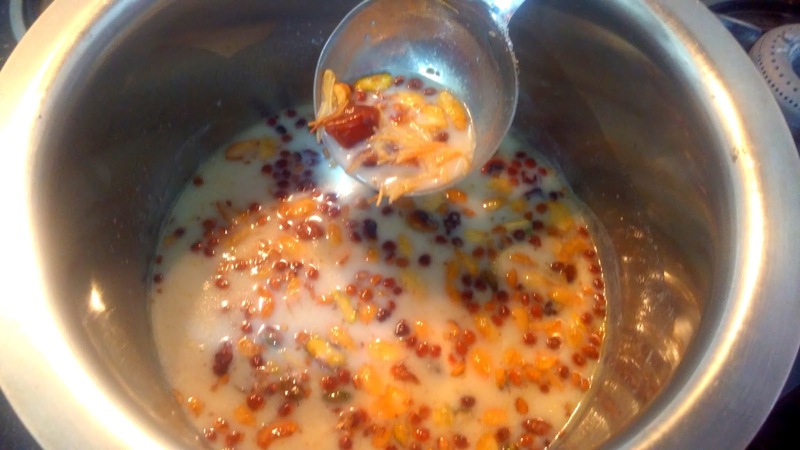 You can also add sweetened khova i.e. mawa too. Also you can add some condensed milk. 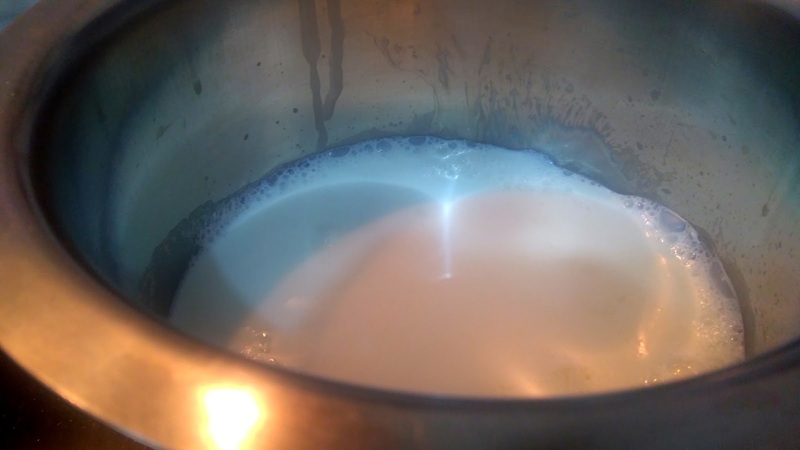 But if using khova or condensed milk then you should reduce the sugar quantity. Let us learn how to make sheer khurma recipe hyderabadi Ramzan / Eid Special ! 1. 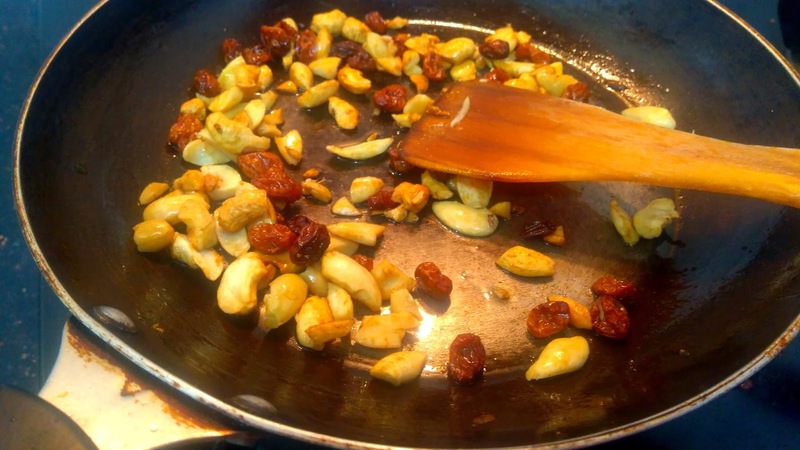 Soak almonds in water for 2 hours, remove its skin, chop to fine pieces and keep aside. 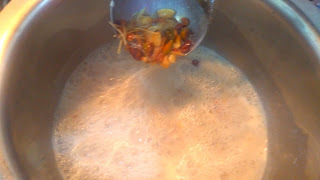 Or boil some water, when water starts bubbling, switch off the flame, drop in almonds in hot water, close the bowl with a lid and after 10 to 15 minutes, you can peel the skin of almonds easily, then chop them to fine pieces and keep aside. 17. Eid Special Hyderabadi Sheer khurma Recipe is ready to serve. Do prepare this yummy and lip smacking Sheer Korma Ramzan Special on this ramzan and enjoy !